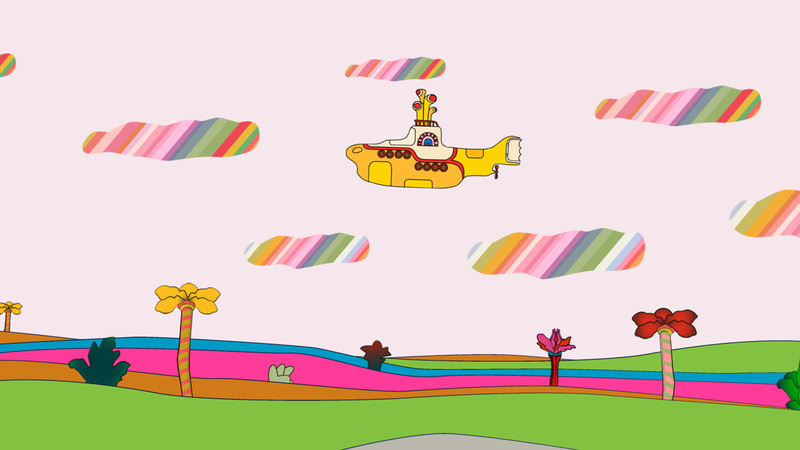 Yellow Submarine is the classic 1968 animated film featuring The Beatles. A very stylised piece, the film was lovingly restored at 4K, with each frame being hand cleaned, rather than digitally processed. The end result was a version of the film that animators who originally worked on it claimed was as close to, if not better, than the original theatrical release. Working with Apple Corps we were tasked with producing the DVD, Blu-ray and iTunes Extra for the release. This included DVD and Blu-ray menu design, DVD authoring, Blu-ray authoring, video encoding, testing and quality control. Our initial design concepts for the menus included a look inside the submarine and it was this idea which was chosen as the menu interface. Creative Director Oded Shein went through and we drew the interiors of the Yellow Submarine, using frames from the film as reference to make sure that all details were as close to the original as possible. This was firstly created in high definition, for use in the Blu-ray release and then down-converted to standard definition for the DVD release. All menus were then animated within After Effects, before being rendered and encoded for the various formats. Sound effects from the film were added to give a real sense of being onboard. The team encoded all video and audio before authoring the discs to create a fantastic homage to a great movie.